Your eyes are the first thing people look at when meeting you and the best way to accentuate your eyes are with eyelash extensions. Semi permanent eyelash extensions look and feel so natural so they are perfect for daily wear or for an active lifestyle. You can shower, swim use the spa and sleep with no problem. Eyelash extensions are waterproof and durable so you can enjoy having long beautiful thick lashes 24hours a day. When applied professionally they do not damage the natural eyelash which can be the case with traditional self applied false eyelashes. Unlike traditional self applied eyelash extensions which come in a strip these lashes are singularly applied to each of your individual lashes bonded with a specially formulated bonding agent to create a natural look which can last for weeks. They come in different lengths, thickness, curl and colour so each treatment will be personalised to suit each individuals eyes as well as there desired look. There is no need to wear mascara or curl your lashes so each morning you can wake up with beautiful sparkling eyes without having to reach for your makeup bag. Semi permanent Lashes will naturally darken your lashes as they will be fuller and more visible and when cared for and with regular maintenance, can last and last. To maintain the fullness of the lashes and to keep their perfect appearance, I recommend that they are retouched every two to three weeks. The application procedure is very comfortable and relaxing I find most of my clients fall asleep. 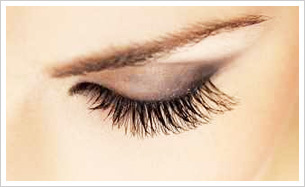 The lashes can be removed at any time by a professional or they will naturally fall out over time. Semi permanent eyelash extensions are great for special occasions, holiday or everyday if you live a busy life and do not have time to worry about mascara in the morning. They are smudge proof, waterproof, resilient to extreme temperate and dermatological tested so won't irritate the eye. For more information or a quote please contact me on 07747 614629.